CE Recruitment is solely focused and specialises in the supply of skilled labour for the construction industry and is founded on a combination of experience, clear knowledge and direct action, with a proven track for nearly two decades. 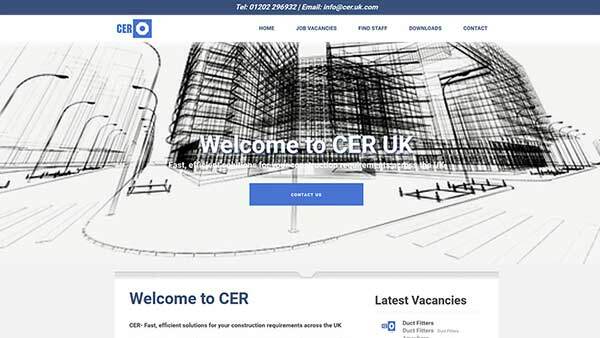 We are an independent company and, since we started trading in August 2000, CER have provided contraction solutions for prestigious projects ranging from football stadiums to nuclear decommissioning programmes, as well as supporting local companies with contractors for their bespoke building schemes. Our experienced and dedicated team offer a personal and professional service supplying labour, trades and managerial staff, on either a temporary or permanent basis, from our extensive database of contractors. We can provide contractors for every area of the construction industry, from demolition to building completion ensuring that your project runs smoothly and importantly, meets your completion deadlines.